Hire drupal developer to join your team on remote work. We offer cost effective rates for full/part time or hourly basis starting at $18/hr or fixed price for your project. Tell us about your idea and we will come back to you with an innovative solution! 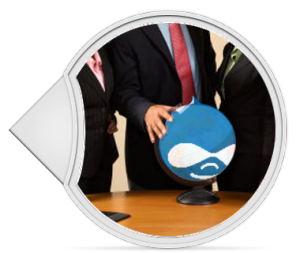 Drupal as one of the most powerful content management systems is chosen by millions of website owners because of numerous benefits it offers. There is hardly any other CMS that guarantees building of the websites of premium quality and exclusive design. This unique feature of Drupal makes it the only right choice for web development companies and Web Peppers, one of the leading outsource companies, prefers Drupal outstaffing. Being a leader of the Ukrainian IT market Web Peppers offers Drupal outstaffing services of the highest quality. It can compete with the renowned development companies in the efficiency of provided services at the same time offering rather reasonable pricing policy. Our company has a professional team of developers, who are available for long or short-term cooperation. Why should you hire our specialists for your Drupal-based services? We offer only right people capable of performing their tasks effectively, timely and meeting the customer’s requirements. Even if it happens that a necessary person is absent or busy with another project, we will conduct an interview and find a professional according to the project requirements as Ukrainian Drupal specialists are top ranked all over the world. Web Peppers is a reputable company and its Drupal outstaffing services are used by many popular companies. Don’t lose a chance to join us.